New from NARS Spring 2013 Color Collection, Mad Mad World is a vibrant duo that is perfect for spring. 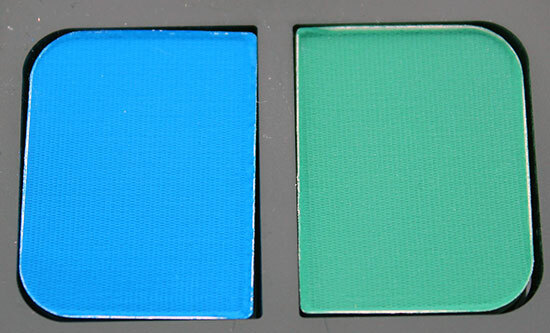 Described as a cyan, the color on the left is a very bright neon blue with matte finish. 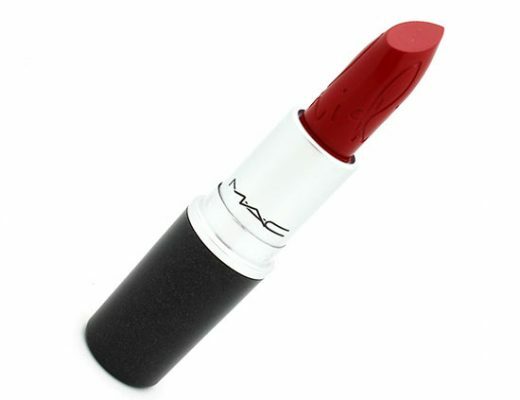 MAC Electric Eel is darker. The right shade, on the other hand, is a vibrant Kelly green with micro-shimmer. 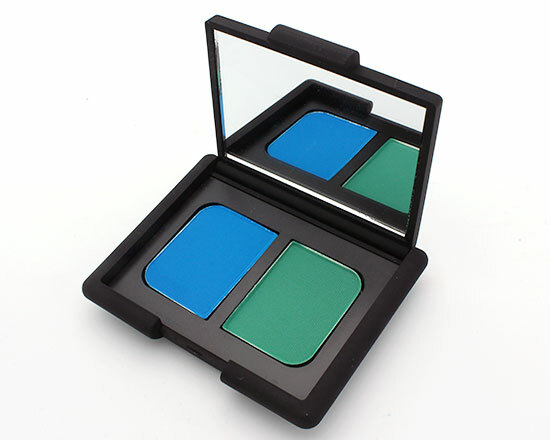 Compared to Bouthan Duo Eyeshadow, also from the Spring 2013 collection, Mad Mad World is much more use-friendly. The shadows felt smoother and glided on like butter. Pigmentation and wear was also better. 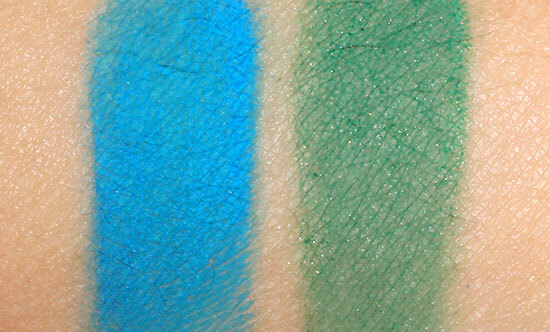 The blue shade applied with such great color payoff even the swatch stained my skin while the green shade went on sheerer but still semi-pigmented. 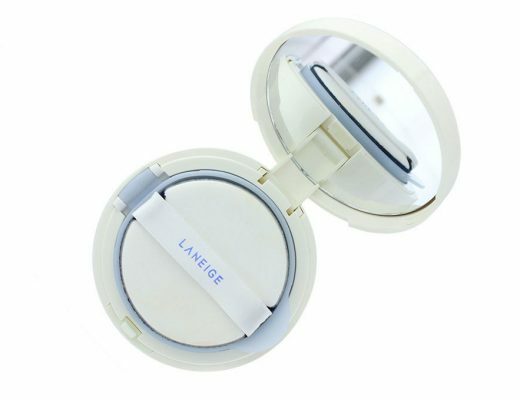 Without a primer underneath, both colors managed to stay on a good 6-8 hours without creasing or fading. 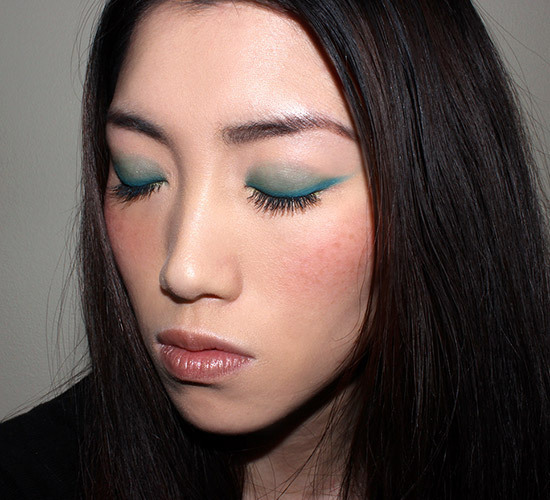 Here I am wearing a wash of the green on the lid with the blue as an eyeliner. Also featured is Flirt! 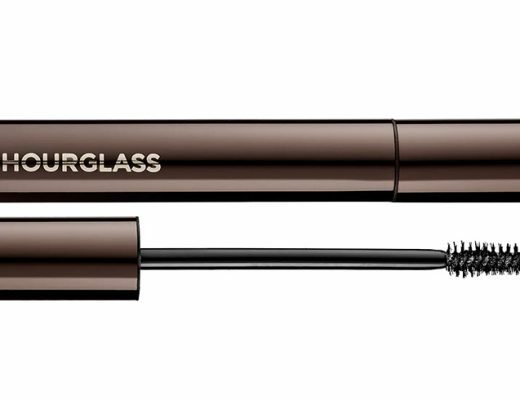 Have A Ball Mascara in Black, NARS Seduction Blush with NARS Cythere Velvet Gloss Lip Pencil. NARS Mad Mad World Duo Eyeshadow is available at narscosmetics.com, Nordstrom and Sephora for $35. The way you have created this look makes these colors much less intimidating to a color-fearing person like me.. I’m quite loving it! Also loving that lip penicil.. Gorgeous! Love this shadow. I own in and I think of beautiful peacocks when i see these colours. Amazing with the illamasqua liquid metal palettes.